When the international known French concept artist Christian Boltanski came to the Danish art museum ARKEN short time before opening the exhibition “Menschlich” (Human in German) he got an idea. The large dimensions of the museum ARKEN inspired him to think even bigger than he was used to and without thinking he started a new art project. 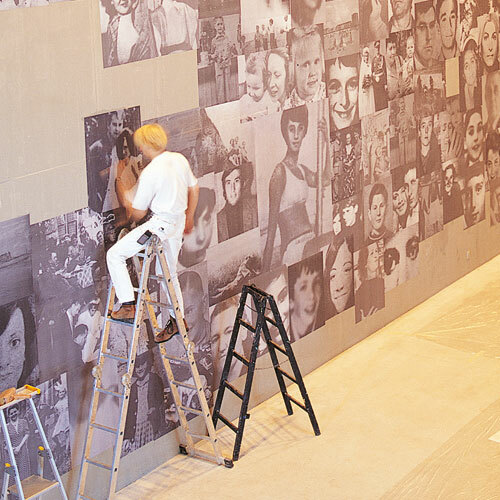 In short – the many guests should be met by a wall of 2.500 unknown faces when entering the exhibition. The artist believes that photography is linked to death and the past, that it kills things while trying to preserve and save them: “the moment you take a photograph of something, 3 minutes later, it’s something that no longer exists”. Moreover, photography kills and replaces us all. It replaces you after your death, when your relatives can no longer remember precisely what you looked like without looking at a photo of you. It definitely kills you – when someone picks up your photo and no one knows who you are”. This is what happens when one is looking at the faces of those people on the photographs: one cannot say anything about them except that they existed, and they were human. 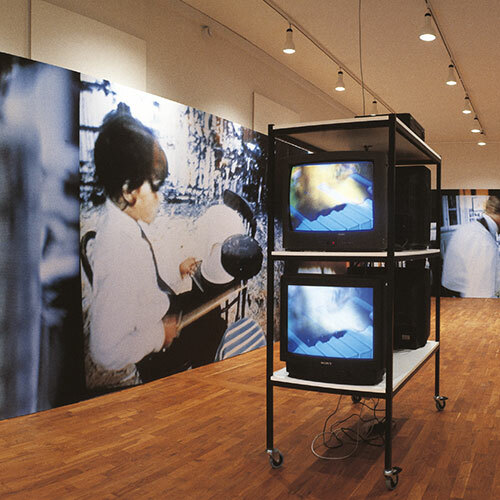 Since it is impossible to know anything else with certainty, Boltanski’s main purpose is not to invite the viewer to imagine a story, but to make him draw some conclusions about characteristics that are shared by all these faces, to think of the things that make all these people similar, rather than concentrating on the details that make them singular, and through which one could be tempted to figure out how their lives were. It is not the number of pictures that are noteworthy – but the fact that they are all different also in size – each picture was made as a separate poster. 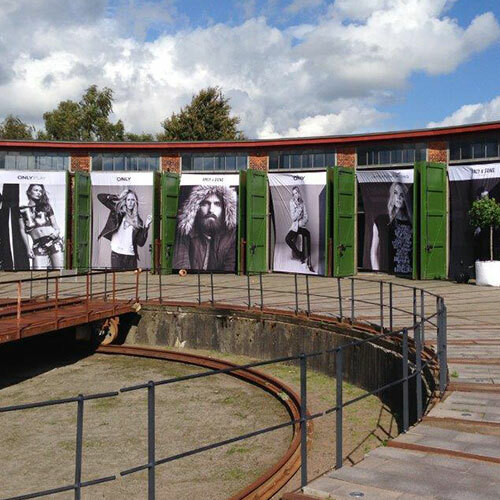 More than 2.500 posters were printed by Ricken in under 48 hours and less than a week after the project was started the wall of faces was installed and ready for the exhibition.